The state says they have no record of the marriage license. 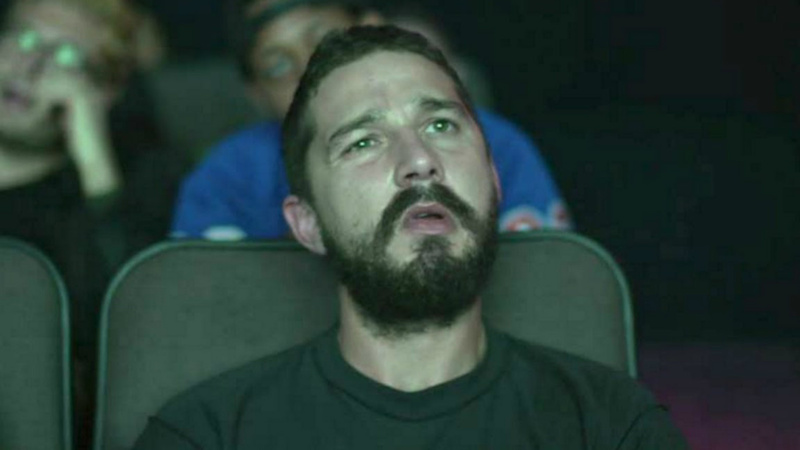 LaBeouf watching himself on screen. Was the actor's wedding a stunt? Shia LaBeouf and his girlfriend Mia Goth tied the knot this past Monday in Las Vegas. However, it turns out the whole thing might actually have been one of LaBeouf’s now infamous publicity stunts. A tweet from the Twitter account of Clark County Nevada claims they have no record of a marriage license being issued for the couple. LaBeouf livestreamed the entire ceremony, but now it’s starting to look like the whole thing may have been for show. The pair had apparently opted for a combined Elvis Presley and Hawaiian theme with the ceremony being officiated by an Elvis impersonator. During the livestreamed ceremony the Elvis impersonator says: “Mia and Shia, do you promise to adopt each other’s hound dogs? Not to wear your blue suede shoes in the rain? LaBeouf has received a lot of media coverage for a series of increasingly bizarre publicity stunts over the past couple of years. These include a stunt where he livestreamed himself watching all the movies he’s ever been in back-to-back at the Angelika Film Center in New York.